The ripe, round, red tomatoes tumble out of crates and is piled high on trucks, while people cover balconies in plastic sheets and board up houses and shopfronts. 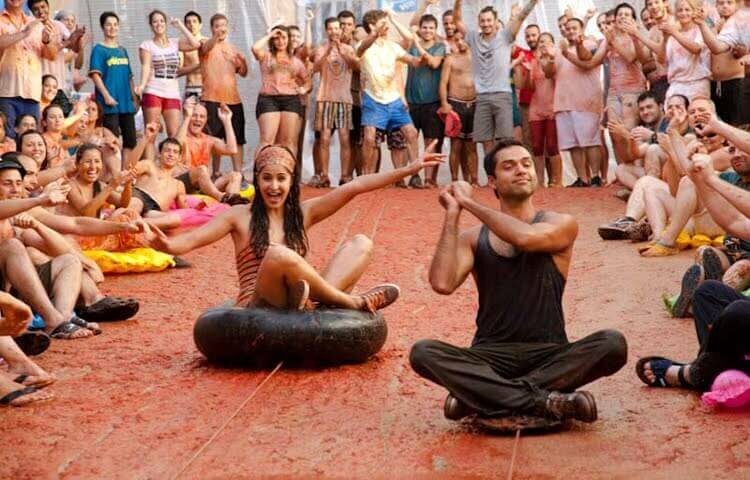 Thanks to the movie Zindagi Na Milegi Dobara, you might have guessed that we are talking about the insanely popular Tomatina festival that is held in Spain’s Town Bunol every year. 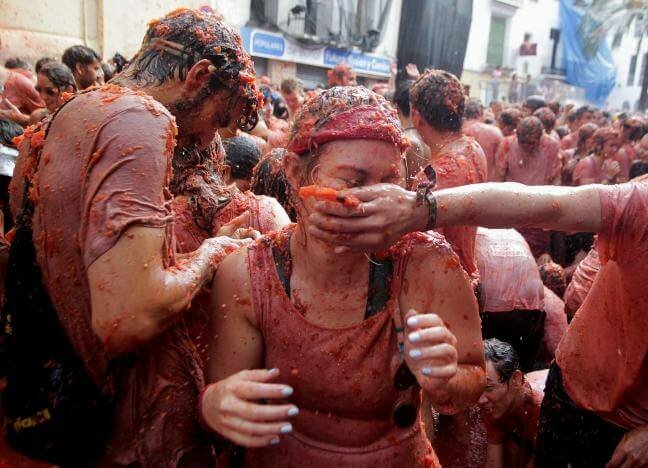 At the annual Tomatina fiesta on Wednesday, 160 tonnes of ripe tomatoes were offloaded from trucks into a crowd of over 22,000 half-naked revellers who packed the streets of Bunol for an hour-long battle. 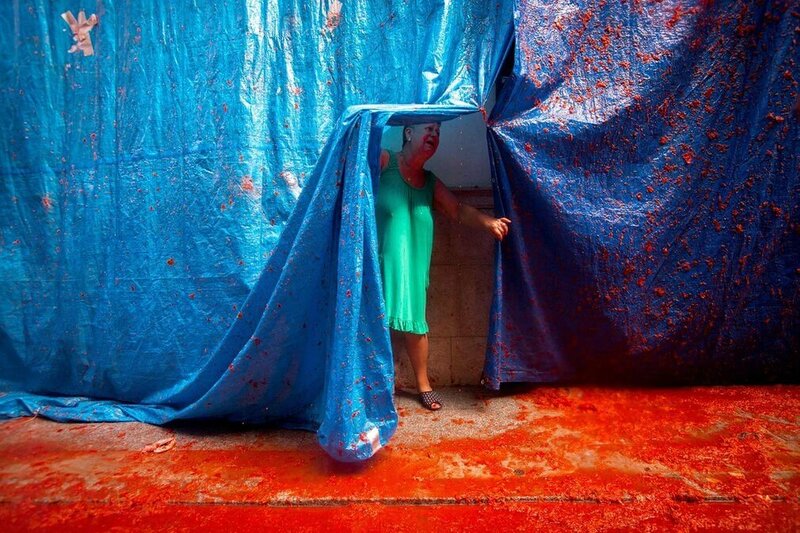 Locals and visitors pelted each other with tomatoes, leaving the streets of the eastern town which is home to just 10,000 people awash with red pulp. The Tomatina started in 1945 when local youths brawling in the street seized tomatoes and other produce from a greengrocer’s stall and let loose. 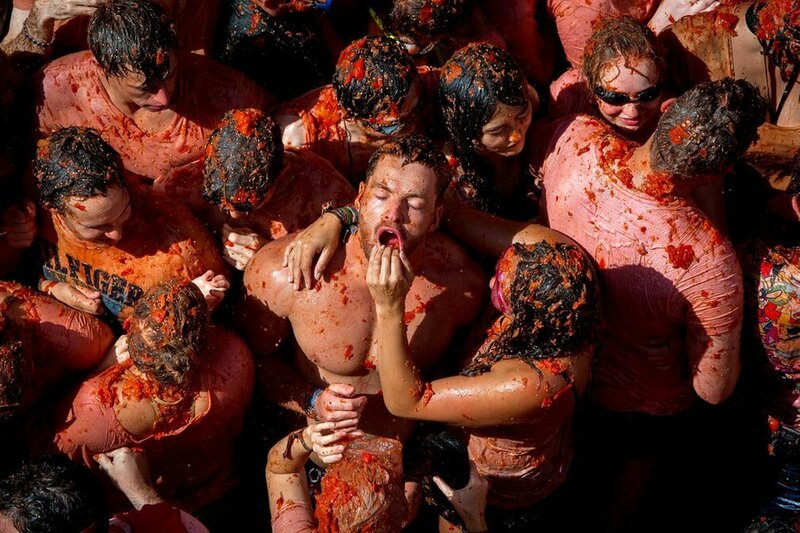 The tomato fight has been a tradition in Bunol since the end of World War Two and has drawn a large international following in recent years. The colourful event has been featured in several movies, such as the 2014 British romantic comedy “Walking on Sunshine” and the 2011 Indian road movie “Zindagi Na Milegi Dobara”, as well as in television ads for global brands. 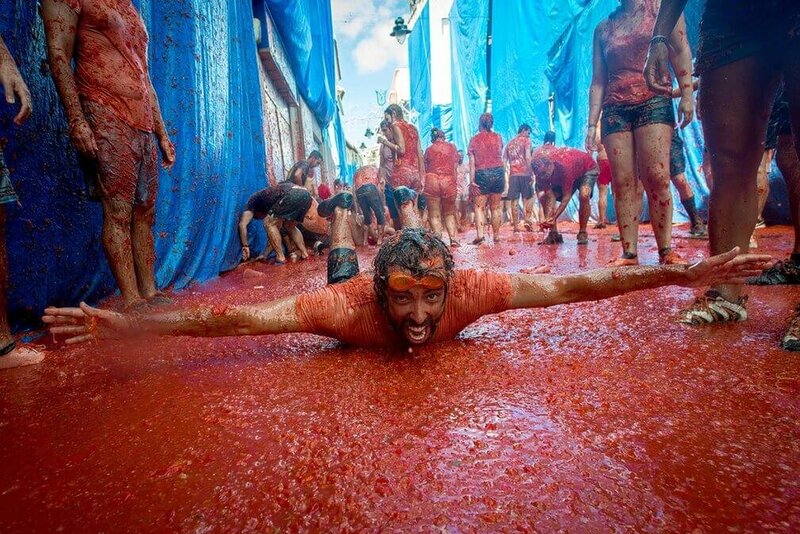 Bunol city hall cooperates with other cities which want to hold its own version of the Tomatina for free because it provides publicity for the town and its festival, said Perez. 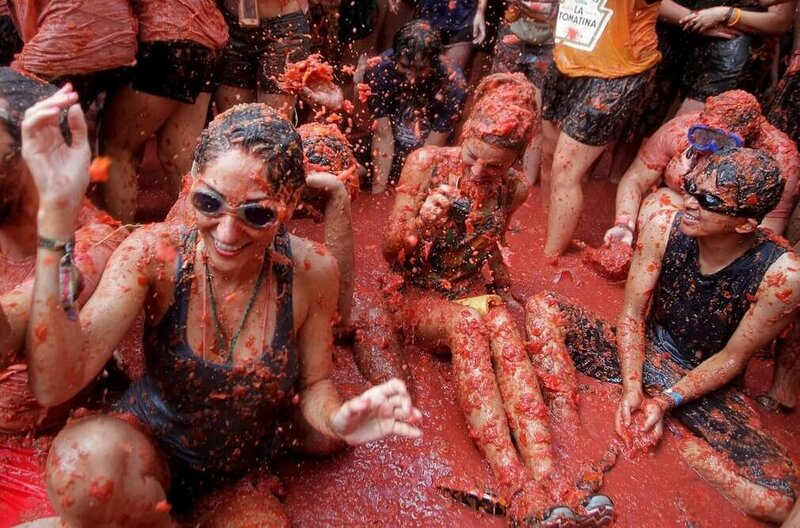 Versions of the Tomatina have been held annually or as one-off events in Colombia, Chile, Cuba, India, South Korea and the United States.